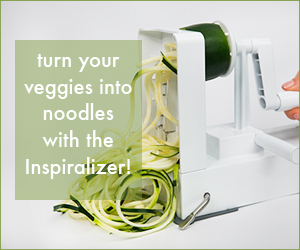 The Holy Grail of spiralizing, The Inspiralizer! This is basically a guarentee that you or your loved ones will stick to their New Year's Resolution to eat healthy. ​Everlane's Cashmere Crew - affordable cashmere in a classic style. Ethical, fair-trade, OBSESSED. ​Nisolo's Emilio LE Chukka Boot - another amazing ethical company with serious quality; their products are comfortable, timeless, and made to last. This delicate geo chain bracelet from Tribe Alive is cool and classic, the perfect compliment to any outfit - seriously! ​This Ceniza Lumbar Pillow from The Citzenry...because I am a firm believer you can never have enough pillows. Altar Ego is a MA-based, female-operated company that focuses on empowering women and taking stylish cues from art and history. ​They also source their fabric from Italy and ensure their entire supply chain adheres to strict environmental standards and offers fair wages. Amazing! Get dusted - I am a loyal Amanda Chantel Bacon follower and am madly in love with all of her Moon Juice concotions. This sampler let's one have a taste of all of the different moon dusts her company makes. ​The Kendra cable-knit sweater from Amour Vert - ugh. And it's on sale! His & hers from Parker Clay - excellent travelling companions! ​For the chocoholic with anxiety, inflammation, or stress. Sakara is the queen of organic meal delivery service - I am obsessed with their branding and marketing! Plus they offer really great newsletter emails with interviews and recipes. ​Our Daily Red wine: Organic, zero sulfites, easy to drink red at an unreal price - less than $10! Comfy cozy alpaca blankets from Coyuchi. Worth the splurge! ​I mean, I don't think this needs a caption - this baby alpaca oversized turtleneck sweater from Cuyana is beyond chic and is ethically made. ​Jewelry from Soko is fair and ethically-made by artisans in various countries, allowing them to have global access to sell their goods. This dash ring is simple but certainly makes a statement. I hope this list is helpful, now get gifting before you lose out on pre-holiday shipping!